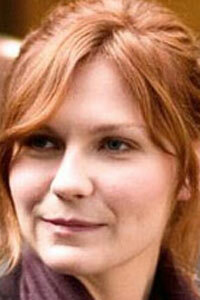 Mary Jane Watson, played by Kirsten Dunst, is Peter’s neighbour and love interest. Daughter of an alcoholic and dating a high school bully, Mary Jane quickly leaves her past behind once she graduates. She moves downtown New York City to pursue her dream of becoming an actress and lands a role in a production of The Importance of Being Earnest. Disappointed by Peter never showing up to see her, Mary Jane begins dating John Jameson, the son of the Daily Bugle’s editor-in-chief J. Jonah Jameson. Eventually, she realizes she wants a relationship with Peter and leaves her fiancé at the alter, telling Peter she is willing to risk everything for them to have a relationship. After a less than stellar premiere of her Broadway debut, she faces the sad news that her role is being recast. When she tries to tell Peter, she realizes he is growing distant—not knowing that this is because of his new black alien costume. Making it even more difficult for Peter and Mary Jane to be in a relationship, Gwen Stacy grows closer with Peter. When Mary Jane can’t take it any longer, she breaks up with Peter hoping to get some peace. However, Peter takes Gwen on a date to the café where Mary Jane works, tormenting her further. Eventually Mary Jane and Peter are able to reconcile, moved by the death of their friend Harry Osborn.